6/25/2011 The Bailey Bridge no longer rests atop the south side wing walls. It was moved over into the aqueduct prism during the night to avoid disrupting canal traffic. 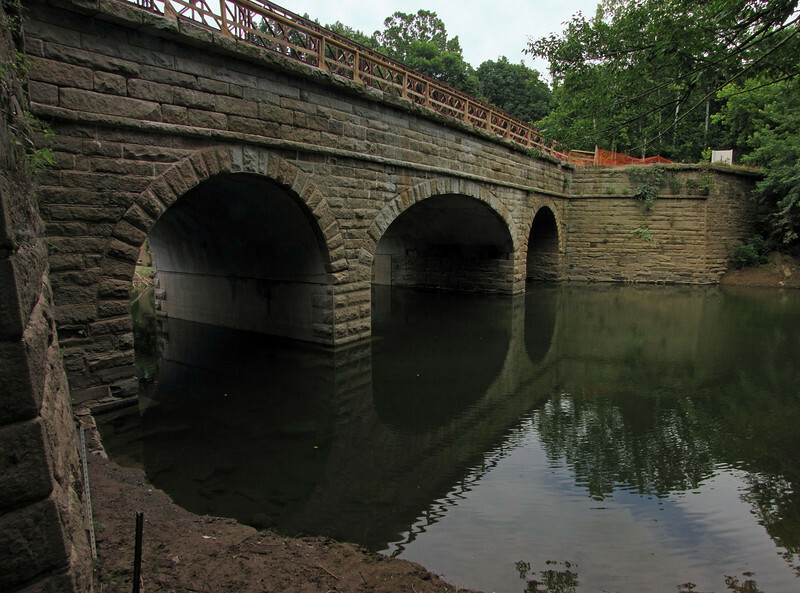 The Catoctin Creek Aqueduct restoration is nearing completion.